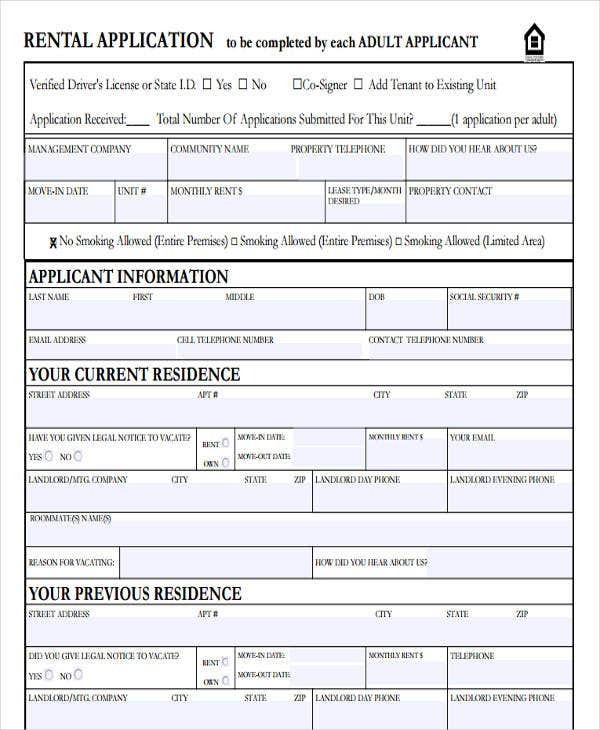 For a first time renter, it is vital for you to know the application process on renting property. 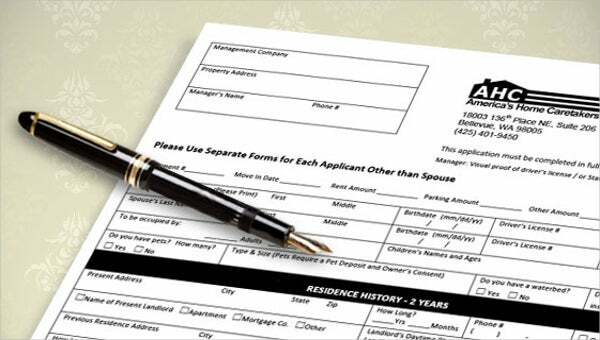 Landlords or property managers require documents, such as a rental application or a tenancy application. 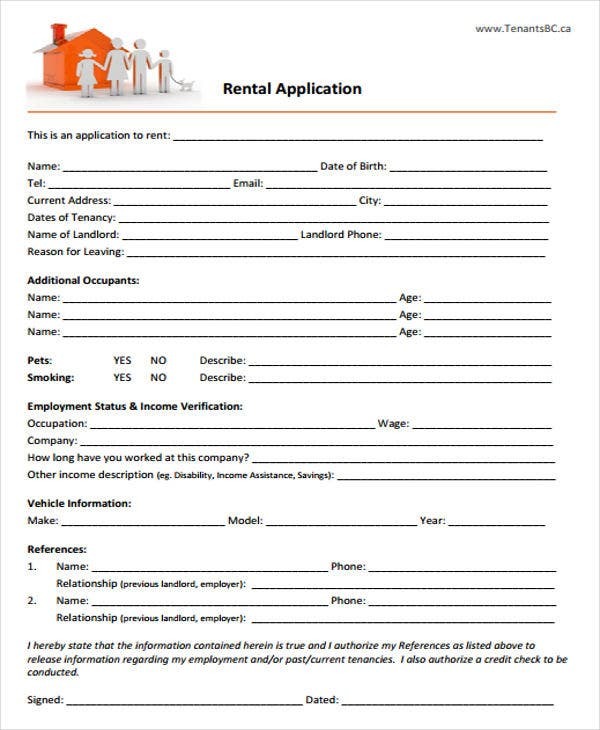 A rental application works similarly with a loan application as these are requirements necessary to gain a lease agreement for tenants or a loan agreement for borrowers. 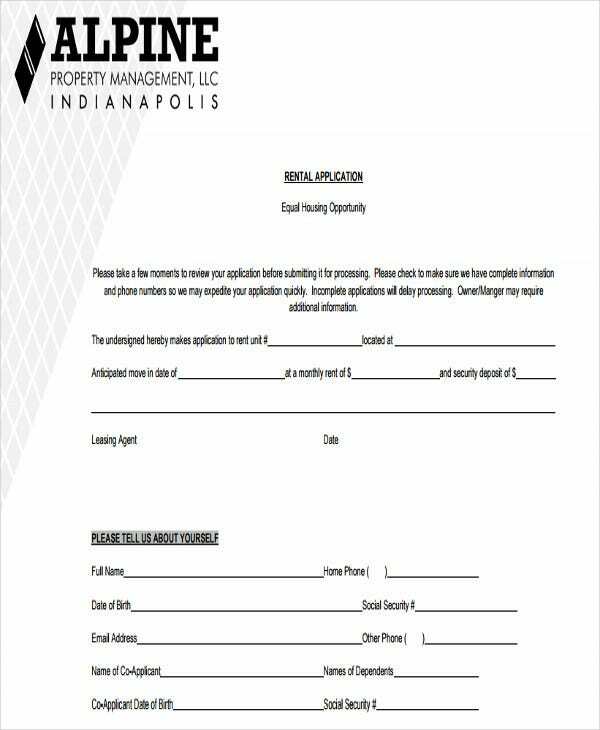 A proper and well-written rental application is needed in order to increase the chances of acquiring the lease for the property you are vying for. 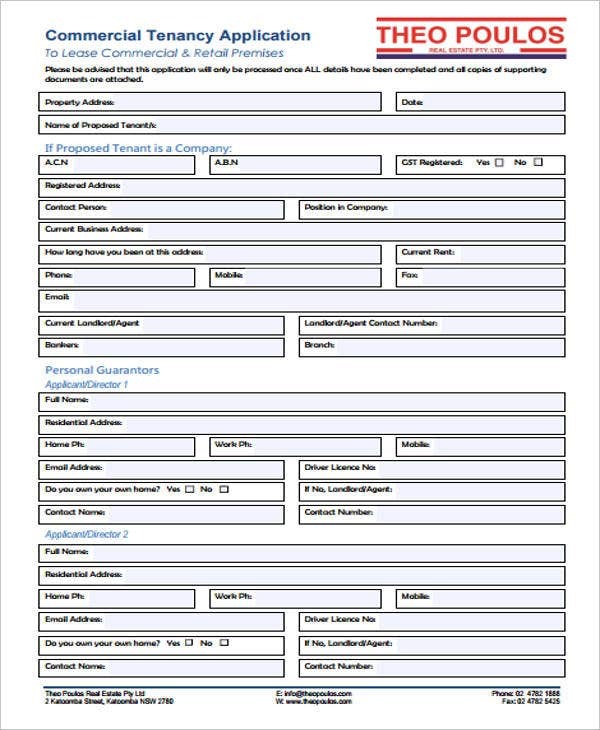 The following rental application in PDF formats are presented in templates that you can peruse and download. 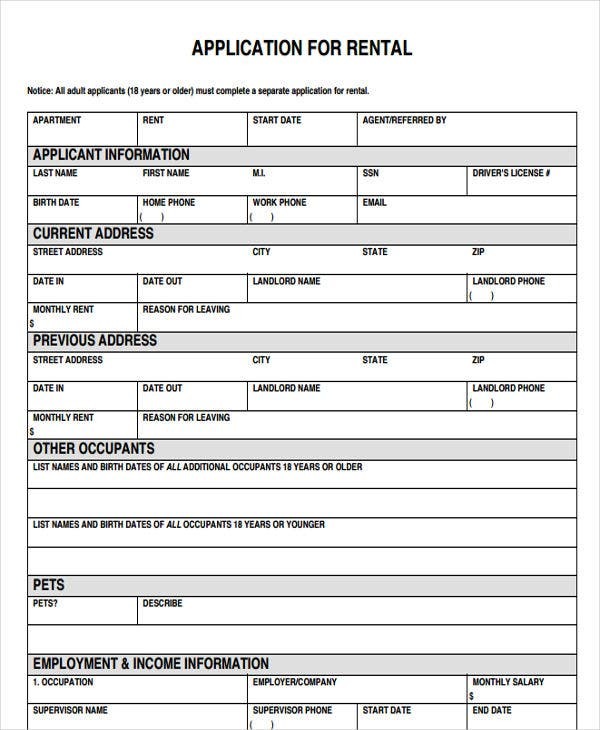 What to Include in a Rental Application? 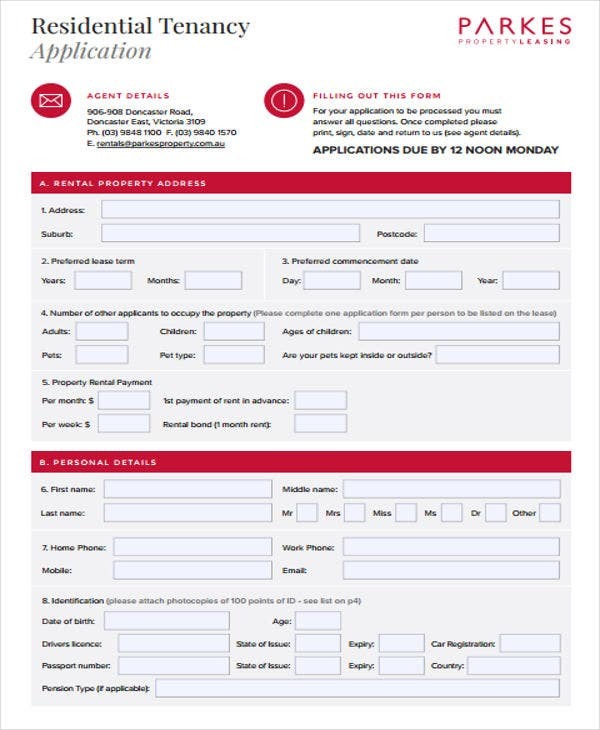 Contact Details – Rental applications starts with securing the tenant’s information such as full legal name, social security or driver’s license number, contact number and email address. Residence Addresses – Aside from the contact information of the tenant, it is essential for you to know the previous and current home addresses of the potential tenant as references for follow-up on residence history. 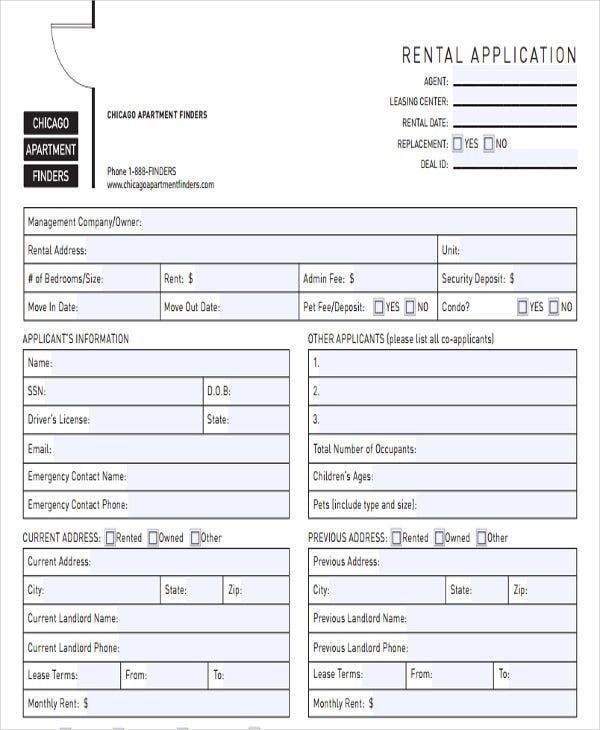 Work History – This section of any rental application template is used to attest that you have the capability to pay the payments required for the lease. A proof of income should be secured for you, the landlord, to check. 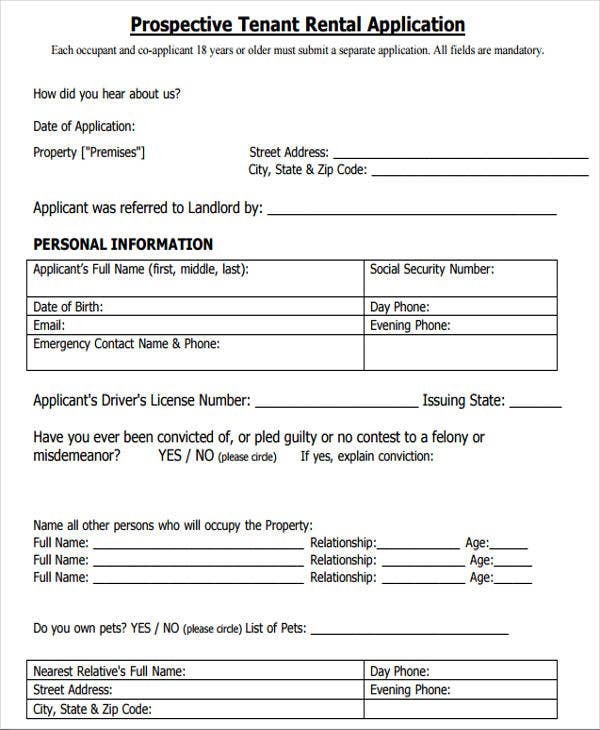 Tenant Authorization – Before you can do a background check on the prospective tenant, you must first ask permission through a statement on the rental application. 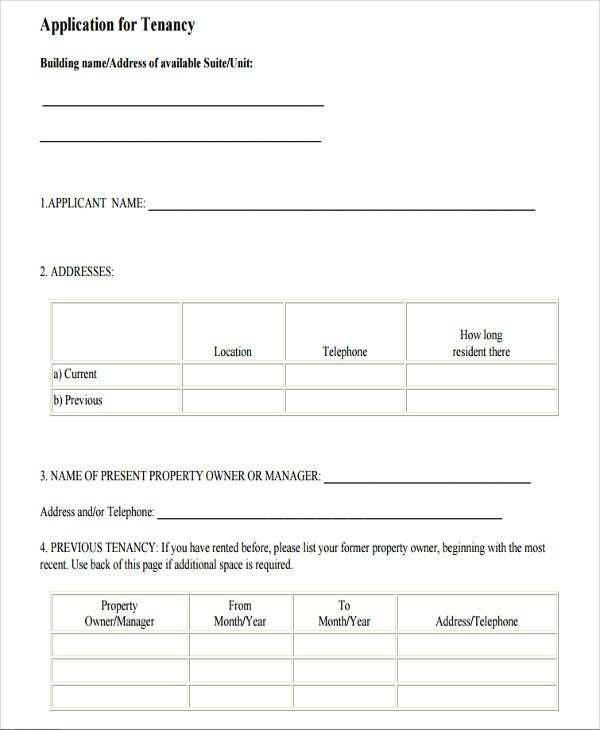 Some essential documents for the background may be needed coming from the tenant making it vital to secure his permission. 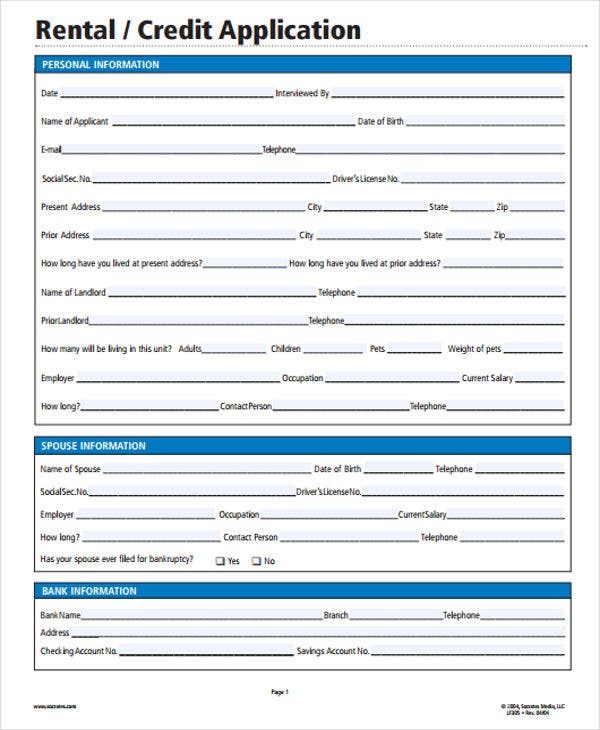 Apartment Rental Application – This type of rental application template is applicable to those individuals who need to secure an apartment within an urban environment. 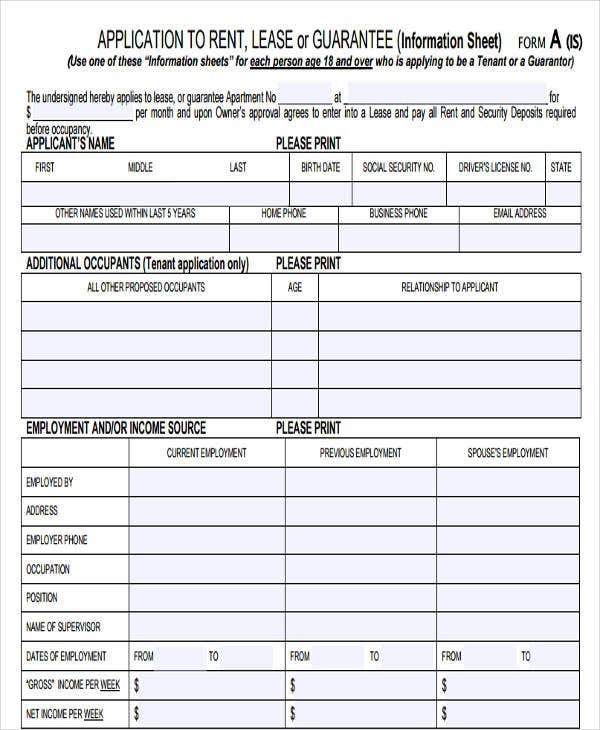 Specifications on who can apply using this application template is indicated. 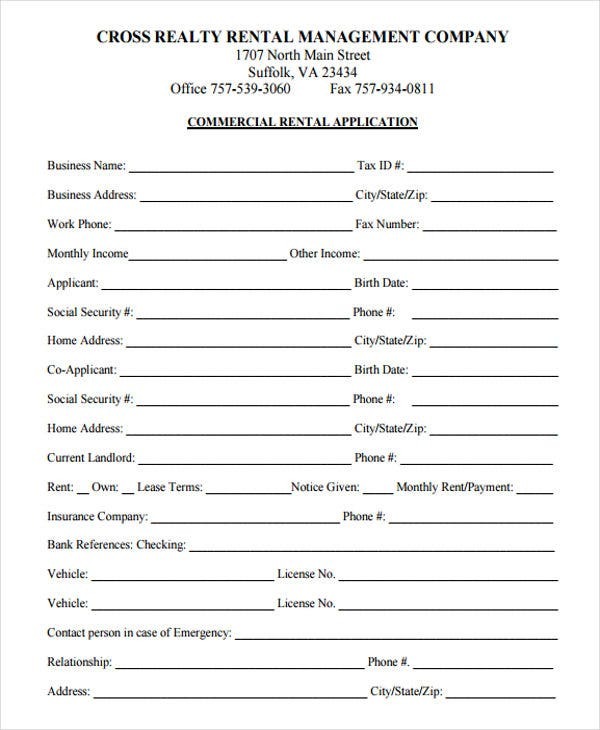 Commercial Office Rental Application – Operations of agencies or service businesses avail an office space with the procurement of this type of document. 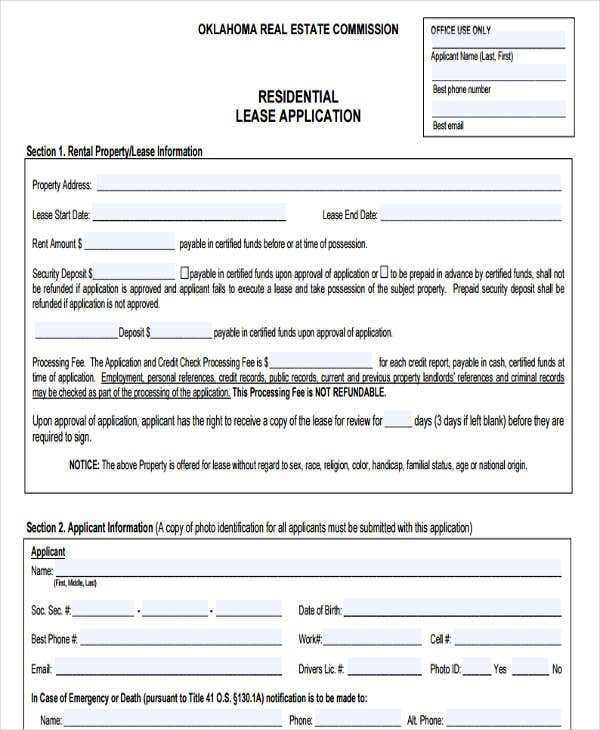 Residential Lease Rental Applications – Templates under this category pertain to rental applications involving residential properties. 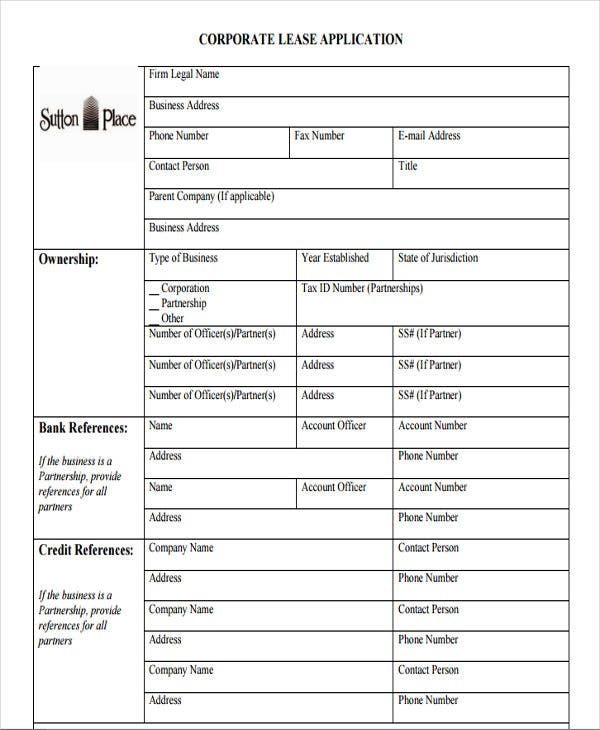 Corporate Lease Rental Applications – Rental application templates on this division involve stakeholders like employees availing corporate benefits such as housing that requires a rental application as depicted on the application templates under this group. 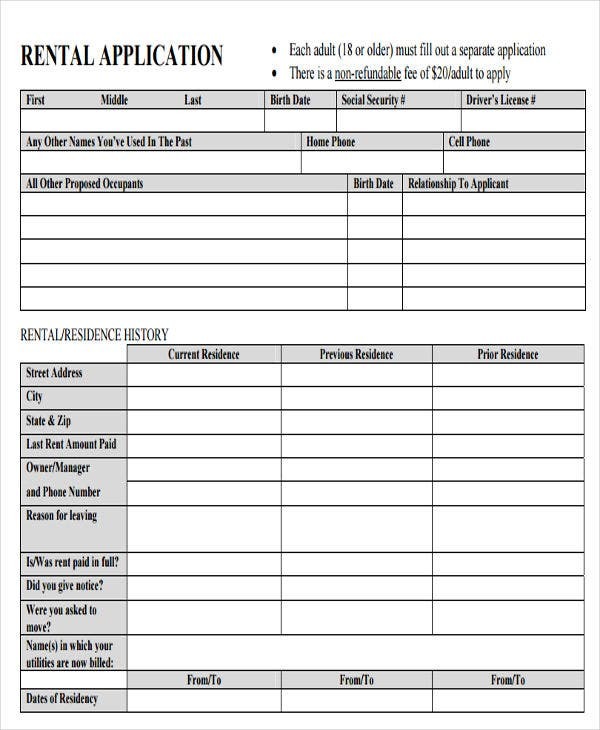 Tenant Rental Application – The rental application templates under this category comprise of basic outlines or formats of rental applications issued to prospective tenants of the landlord. 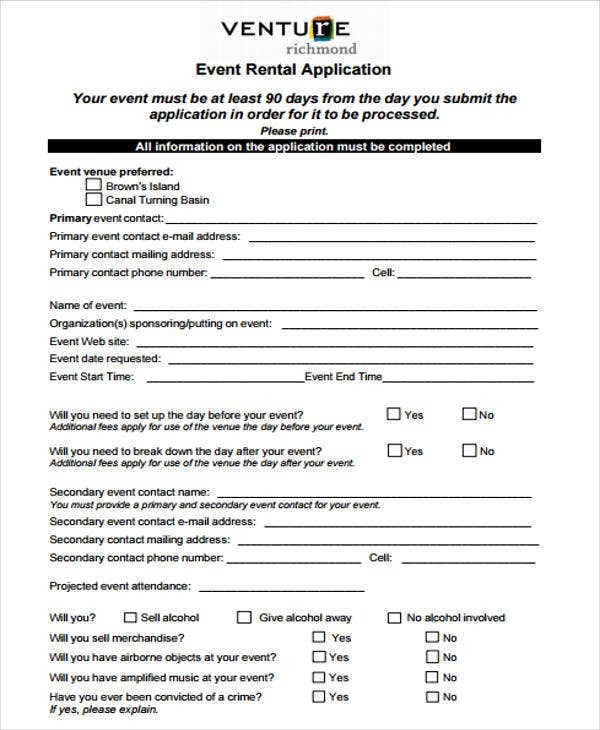 Event Rental Applications – Rental applications within this set of rental application templates are used to rent event venues for corporate or private functions or conferences. Practice punctuality. Inspection on the property with the lease you are applying for entail your presence. You should be early so as not to waste the time allotted and not to disrupt the agent’s schedule. Establish a good impression. Show the real estate agent that you mean business by dressing and acting the part. Wear a semi to professional formal clothing. Be polite in asking questions. Secure references from reliable individuals. 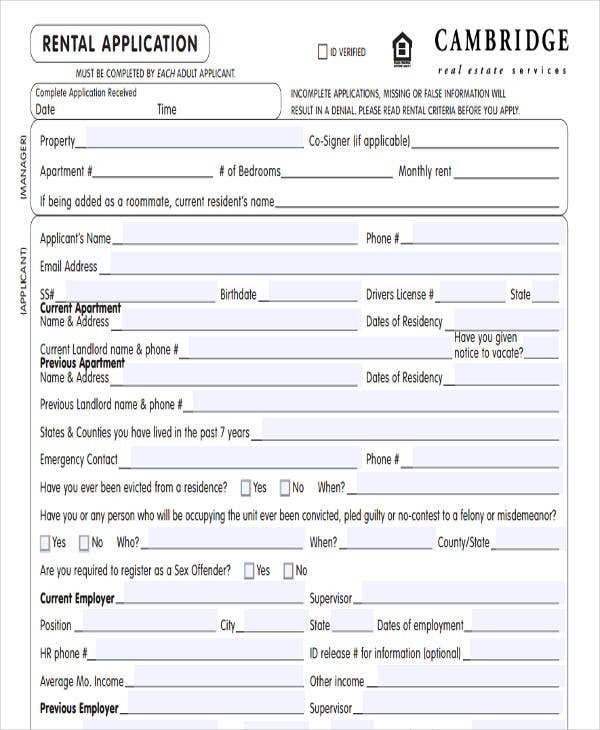 Since you don’t have a record on your rental history, you can secure references from employers, co-workers, or neighbors to support your credibility. 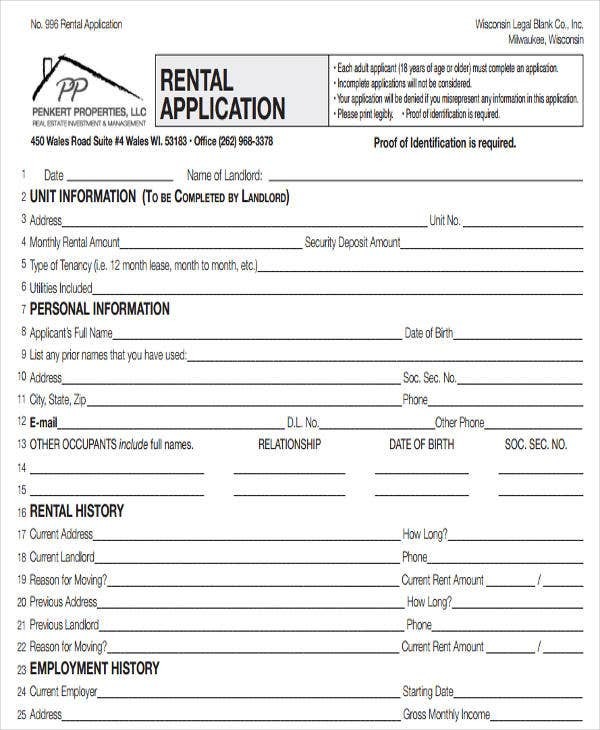 Submit an exceptional rental application. 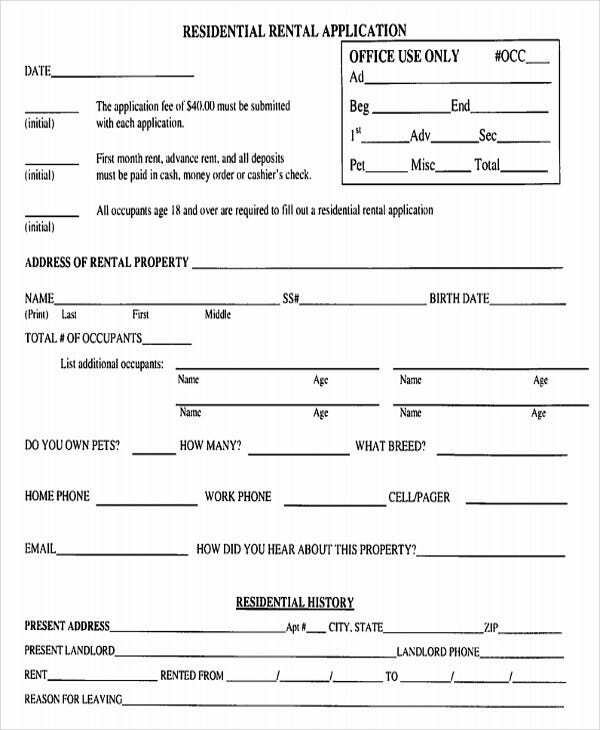 You must be able to submit a well written rental application. 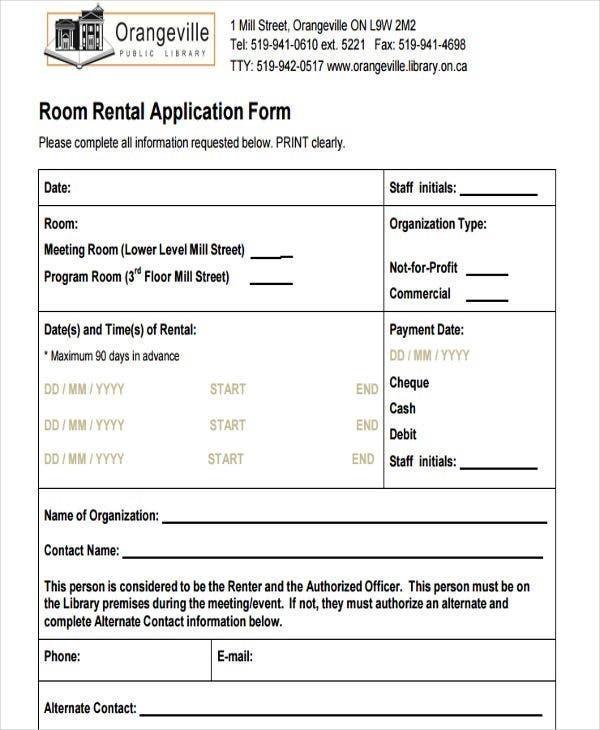 You can make use of various printable rental application templates as your outline for the application. Prepare the necessary documents. 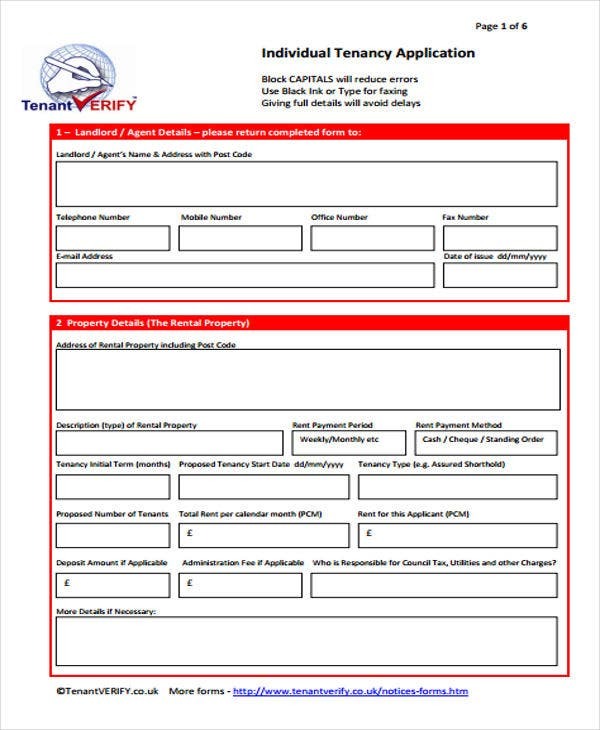 There are cases wherein the agent or the landlord requires you to procure documents such as proof of income and employment or identification documents to support the authenticity of the information on your rental application. 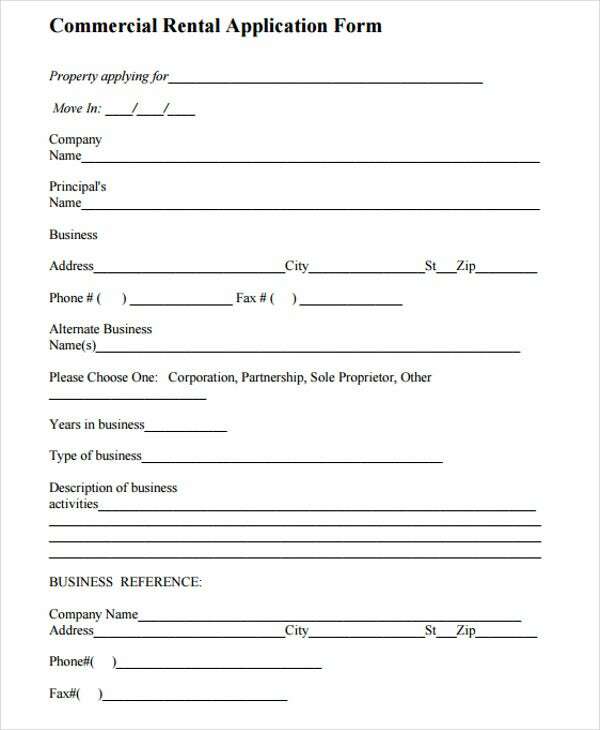 You may also have to fill out lease application templates to complete the process. Stay honest in providing information. 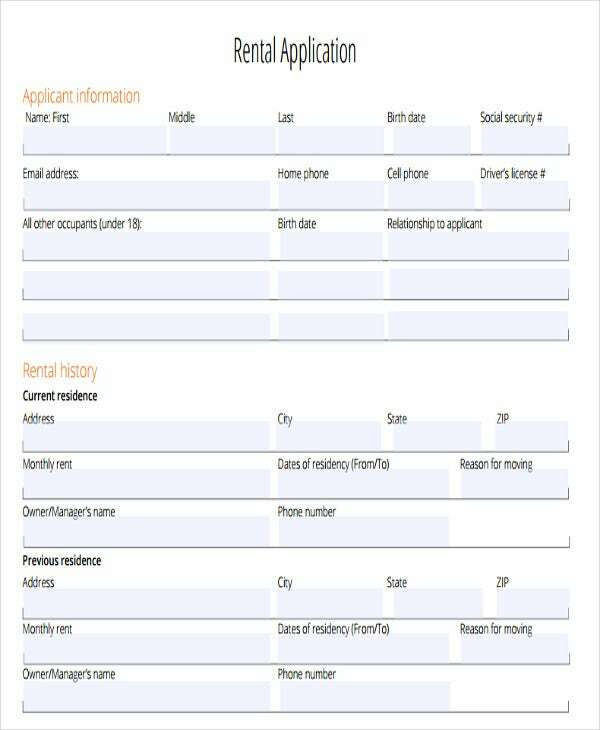 It is vital to maintain truthful in whatever you say and write relevant to the rental application. Postings on rent or lease of property nowadays are not limited to the newspaper and other relevant print media. Most rent postings from landlords and real estate agents are seen on the web. 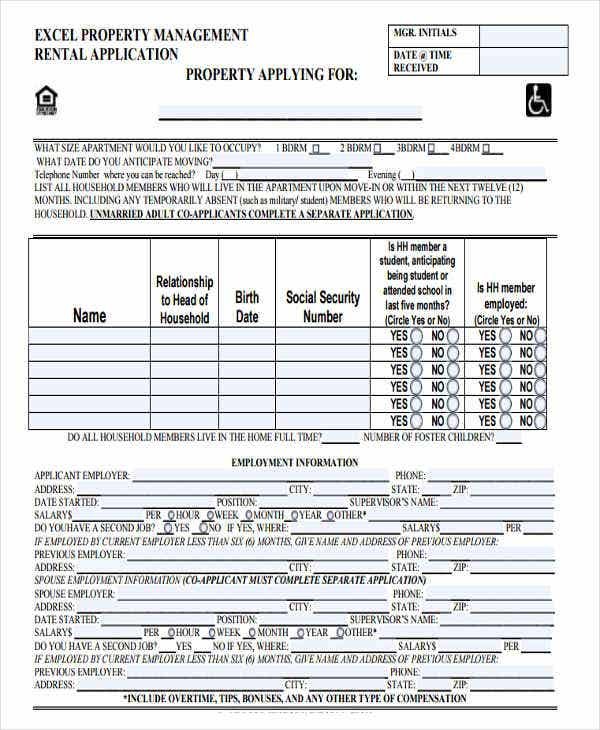 It is easy to come across a rental application in PDF online, but not so easy to actually apply. It is convenient for working individuals. 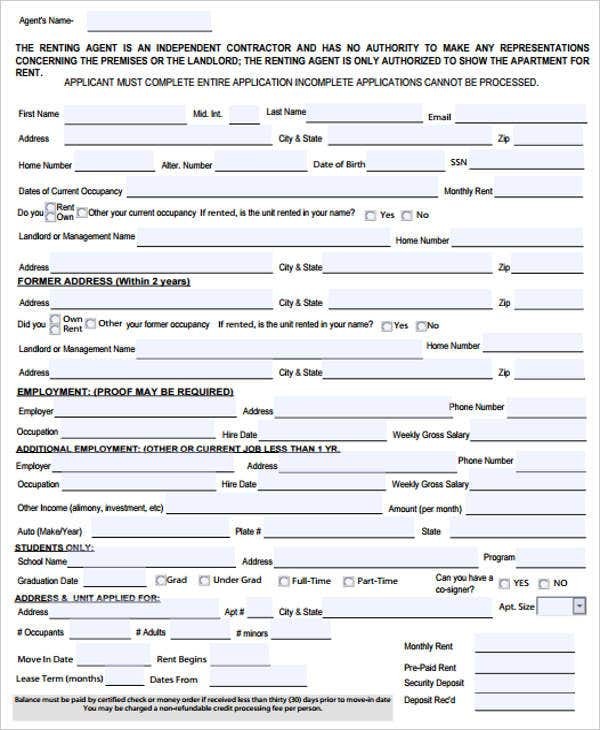 Free application templates save a working individual time and money than submitting a print application to the agent’s office. 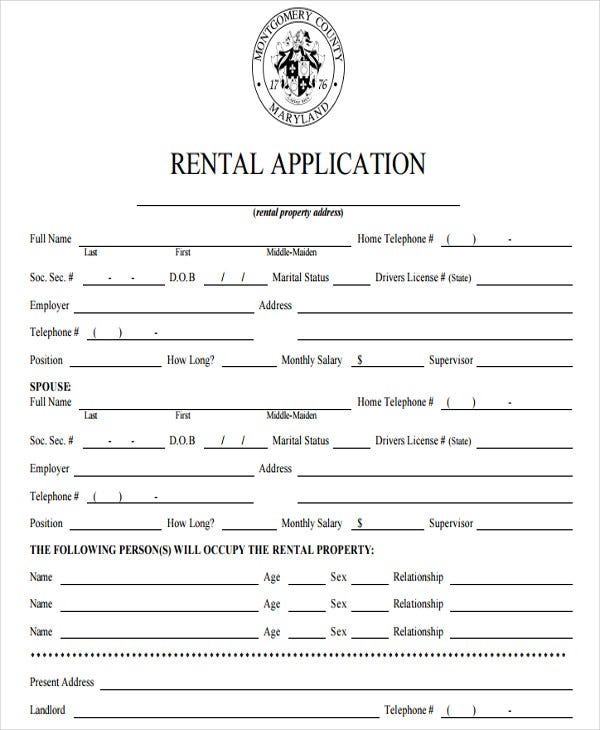 A variety of rent postings can be found. When a renter searches for available rentals or residential leases, a number of results provides the information a renter needs. Low offers of lease in real estate is evident. 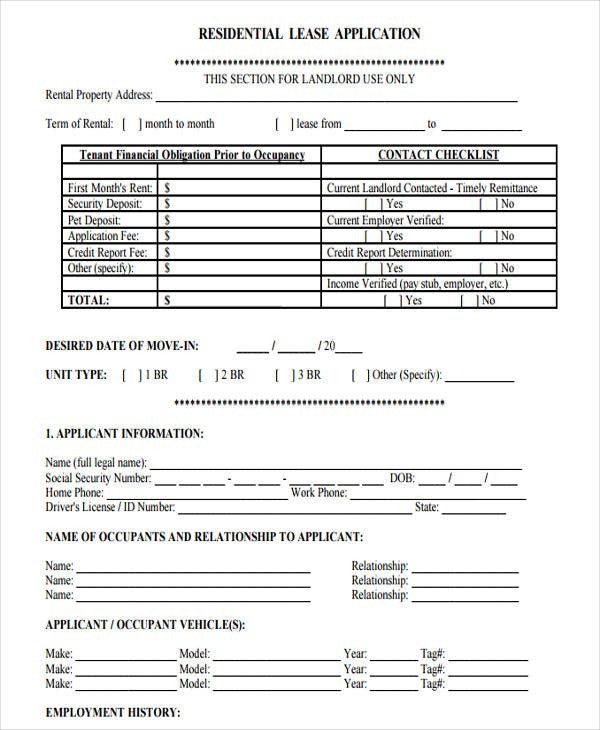 Due to the competition of landlords and property managers existing on the web, prices on these leases may vary in order to attract the renter’s attention. You are at risk of getting scammed. It is vital to verify the authenticity of the rent postings due to the rampant online scams existing on the web. 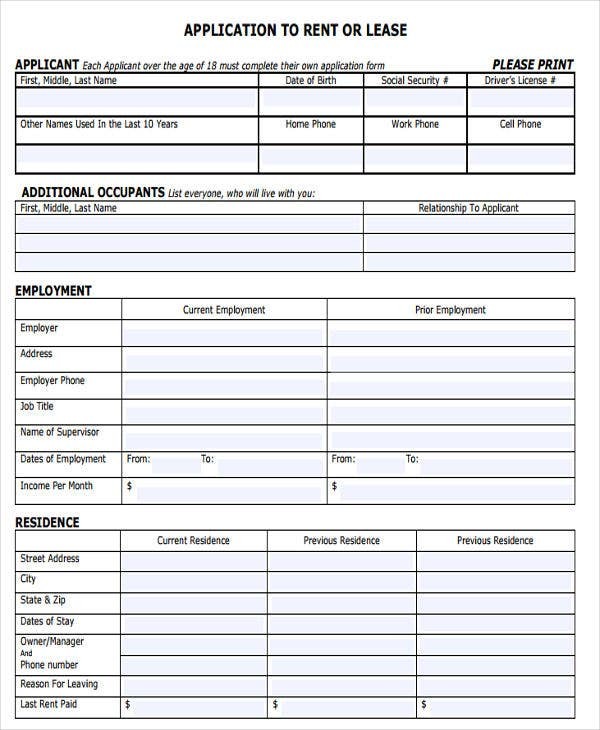 Know that you can make use of any template on this website in order to create an effective rental application. 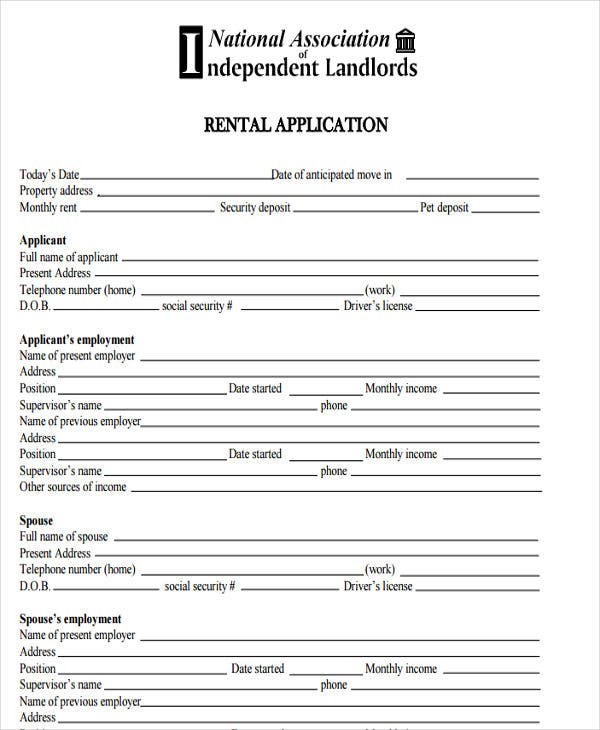 These formats are available for you to refer to and to use when you make your rental application.